Michelle Humm, Ph.D. is a licensed clinical psychologist and formally trained pediatric neuropsychologist with over a decade of experience conducting evaluations of children and adolescents with acquired or developmental neurocognitive disorders. Her areas of expertise include ADHD, dyslexia and other learning disabilities, autism spectrum disorders, mental retardation, developmental delays, long term outcomes of children exposed to substances in utero, traumatic brain injuries, epilepsy, and the effects of neurological diseases on cognitive functioning and learning. Dr. Humm has extensive experience performing evaluations with children as young as infants/toddlers through young adulthood. 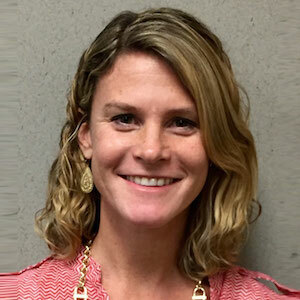 She believes that a comprehensive neuropsychological evaluation, as part of a broader multidisciplinary evaluation, can provide children with neurodevelopmental differences a more targeted and unique treatment plan designed to optimize their experiences in school, family, and the community. As part of these evaluations, Dr. Humm works closely with schools and other educational professionals to formulate appropriate intervention or accommodation plans for students with different learning needs. Dr. Humm obtained her doctoral degree in Child Clinical Psychology and Developmental Cognitive Neuroscience at the University of Denver. She went on to complete an APA approved internship in pediatric neuropsychology at Children’s Hospital Colorado and an ABPP/CN fellowship in pediatric neuropsychology at the University of Illinois Medical Center’s Center for Cognitive Medicine. Over the course of her training, she has worked in specialty clinics for dyslexia, ADHD, autism, epilepsy, neuro-oncology, concussion and brain injury, spina bifida, childhood behavioral disorders, and adult/geriatric neuropsychology. She has served as the director of neuropsychology within a behavioral health practice as well as starting and running a successful private practice. Dr. Humm has also supervised and trained students in psychology, neuropsychology, and child psychiatry. She has published and presented research on children with ADHD, dyslexia, and autism.